Graceful, enchanting and mesmerizing video loop of the sea. Give that open water feel to your video with this footage. Set the right mood for your audience with this video loop, expand your options by adding this video to your set. 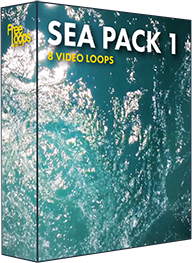 This video loop is part of Sea Pack 1.